This one-day business and leadership conference will draw out the creativity and re-spark the dreams of you and your employees. Most people in the Lima area tend to take their dreams and implement them into other cities. 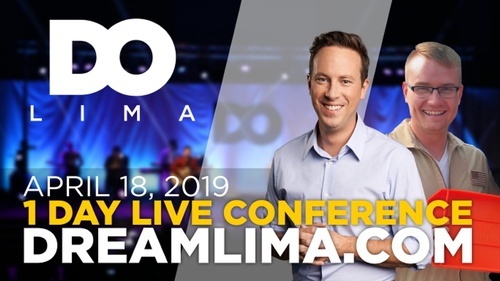 Our mission at Dream On: Lima is to reverse this by hosting a conference with people who are big hitters in the area of entrepreneurship, customer service, management, and all other aspects of the business. These big hitters paired with local entrepreneurs that have impacted this city for the last couple of decades will prove you don't have to leave Lima to be a success story. The fact that Lima is one of the most cost-effective cities in the USA, makes sense for businesses/individuals to stay here and make their dollars go farther. 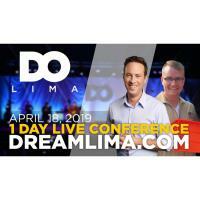 Dream On: Lima will use keynote speakers Ken Coleman from Ramsey Solutions and the Ken Coleman Show. As well as Tom Burden founder of Grypmat and star of ABC's Shark Tank. This day will also feature breakout sessions and local business owners who have invested their careers into this city. This one day experience will draw out the brilliance and creativity inside your employees and upper-level management, and help them function at a higher level for years to come.